A traditional PERT chart is a project management tool used to schedule, organize, and coordinate tasks within a project. 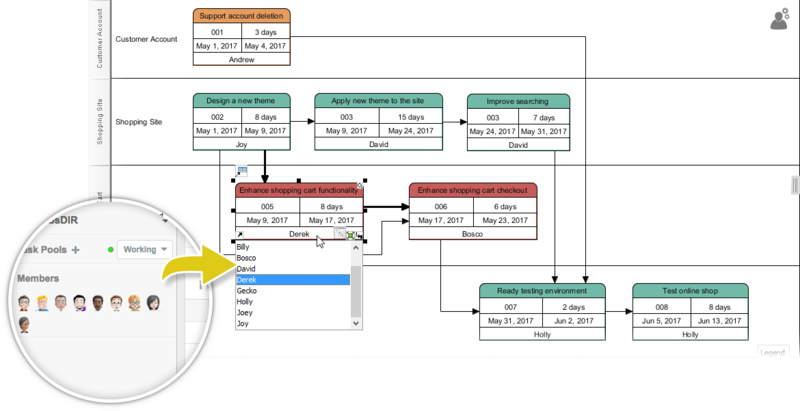 The enhanced PERT Chart tool adds four additional features for integrating with different Visual Paradigm building blocks. You can do all these within an enhanced PERT Chart modeler. 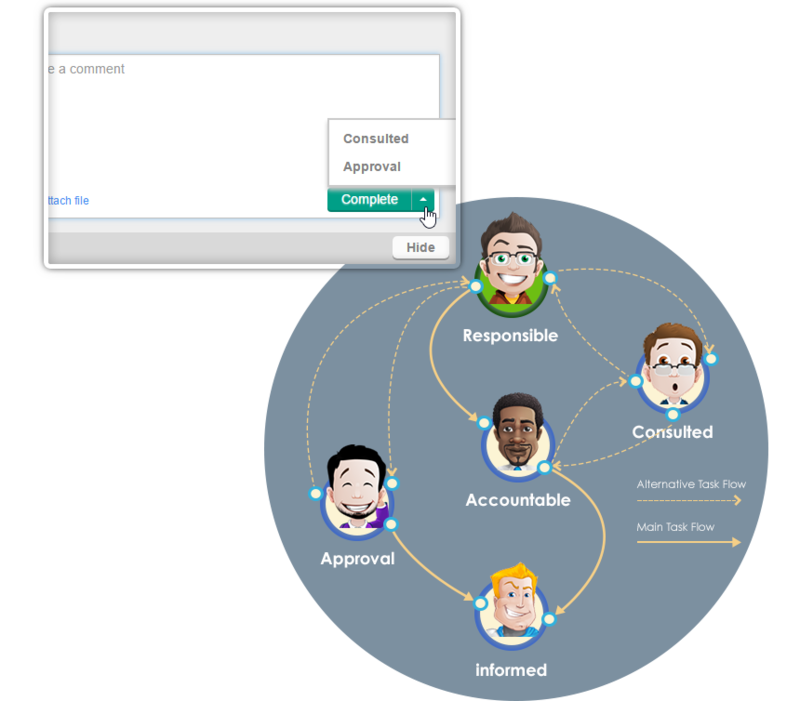 If you are using our team solution such as VP Online or Teamwork Server, you can select team members to be the responsible person of tasks in a PERT Chart. This makes task planning much easier and effective. Besides who is responsible for what task(s), you can further depict the detailed roles (Responsible - Accountable - Consulted - Informed) of a particular task. 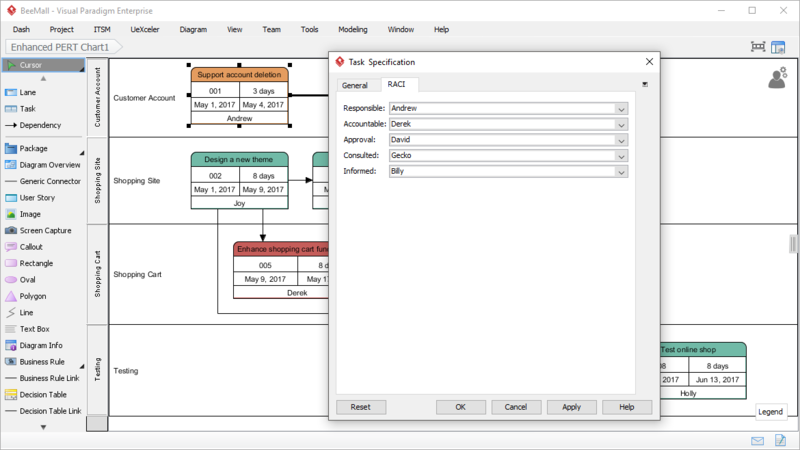 If you synchronize the PERT Chart to the task manager, you will see the tasks appeared in the list of the member who is "Responsible" for it. And, when the member has completed the tasks, that particular task will be shown up, in turn according to the RACI flow scheme of the corresponding members. Once you have finished creating the schedule baseline with the Enhanced PERT Chart, you can synchronize the tasks of the PERT to the task manager. 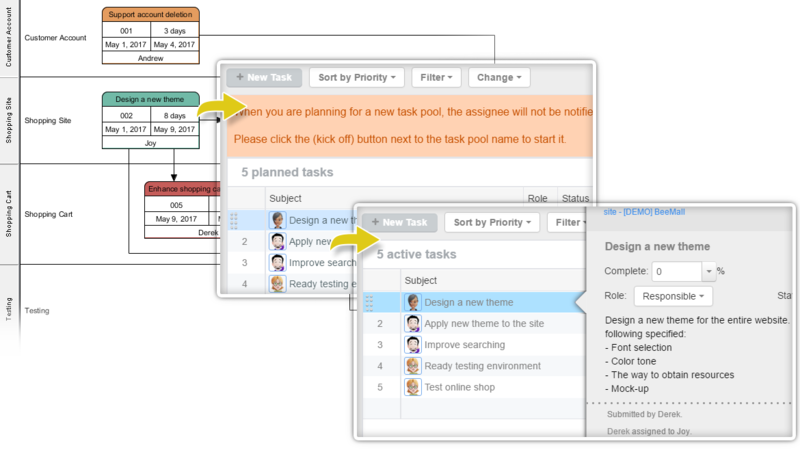 Tasks will be automatically generated, and be assigned to the corresponding members. You can view them in both Project View or Member View. As mentioned, when you synchronize the tasks in a PERT Chart to the Task Manager, you will only see the tasks added to the members who is responsible for them at first. 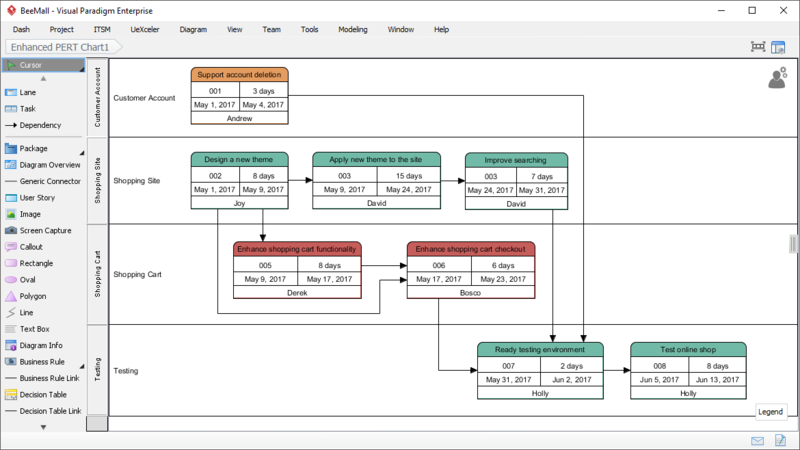 But when the task has been marked completed by a member, the task will flow to the other member who is Accountable / Consult / Information according to the task flow scheme.